If you love to ski and you love the ocean, why not combine the two? Check out our guide to the best places in Bermuda to water ski. For the expert or first timer, our list will tell you where to go water skiing to fit your skills when you are in Bermuda. Here the experts steer you through a water skiing challenge! 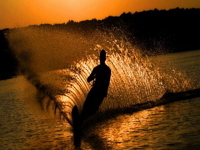 Doing water sports is one of the life desires for most people; they reach the experts of water skiing. Bermuda Water Ski Center is owned and operated by a water ski expert instructor Kent Richardson, he has good experience in teaching skiing from novice to advance levels. 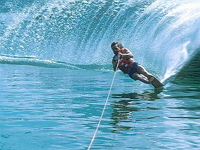 The water skiing course includes the activities Slalom, trick skiing, knee boarding, barefoot, and tubing using the Ski Natique, depending upon the novice and expert levels. The center operates during the months of May through September and the reservation practice in place. A fun and memorable water skiing experience! In Bermuda, Sea Venture Water Sports is one of the best outfitters offering water skiing, tubing, and boating. They provide great opportunities for the water skiers to explore various beautiful sites on their way from the Water lot Inn deck at Jews bay in Southampton Parish. The places for the water skiers to explore are the western end of the island where beautiful fishes and turtles roam around this area, Sea Gardens, Daniels head, Grey’s Bridge, and an off-shore snorkeling area where tropical fishes like angel fish, parrot fish and many more reside. They provide very useful instructions or tips to follow while skiing, as well. Are you ready for the exhilarating water ski adventure? 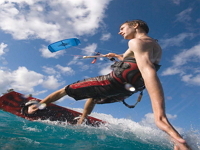 Water Ski Adventure tour is one of the best entertainments with loads of fun and thrill in Bermuda. A finest spot for this adventure is from the Dockyard, in which the tour starts from the dockyard towards the Somerset Bridge, and into Ely’s harbour. Ely’s harbour is a beautiful scenic location and there is lots to see including turtles, herons and Bermuda long tails flying above. Taking off from Ely’s harbour, proceed to sunken treasure shipwrecks where thousands of fishes jump high on Jet Ski arrival is truly an amazing sight. Leaving here, time to explore the amazing coastlines with sea gardens, Cambridge beaches, and gray’s beach. Now finally it’s time to get back to dockyard, however the visit would remain a prolonged memorable experience for everyone! There aren't a lot of water skiing options in Bermuda, but those that are there, might just be the best! The Somerset Bridge Bermuda Watersports Center is a family business who managed to do this for almost 25 years! Everyone who tried their services rated them as one of the best around. This family business has everything you need for a day in the sun and an instructor provided for each water sport you might want to try. This includes water skiing, boat rides, kayaking or jet skiing. Water Skiing is one of the best attractions in Bermuda. Bermuda Water Ski Center namely the ‘Somerset Bridge Water sports’ offers various water activities including Jet Skiing, Kayaks, and boating. The water tours also have very good deals and customer reviews. Jet Skiing is among the best of water skiing sports, and everyone enjoys doing this! 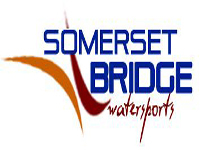 The Somerset Bridge Water sports presents the finest experience that is beyond expectations. The tours stand with their unique service as “superior location, watercraft, value and guides”.